We are pleased to announce that we have launched our editorial company. The venture, in partnership with author Tim Marquitz, aims to provide ‘Quality editing and eBook formatting at reasonable prices’. 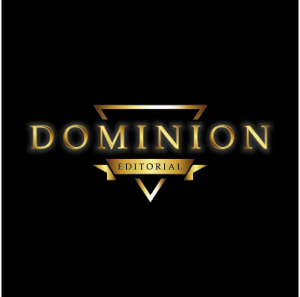 So, do click on the image below and take a look at Dominion Editorial, and if the services may be of use to you let us know accordingly. Congrats on the launch and best of luck with the venture! Shared. I have self-published three books. One is a Christian Children’s book called “Luke the Barking Spider” 2. “Poetic Justice for God” Glorify God and help save souls. An awesome Christian poetry book. 3 God’s Omnipresence – an inspirational – self-improvement book. Would love to post the books here on twitter in a self-published showcase, can you help? Hi, Kim. If you visit http://selfpublishersshowcase.com/join-us/ you can find details on how to get involved. We’d love to be able to help you. If any of the membership options work for you drop us an email through the site and we’ll happily get you some visibility, Kim.